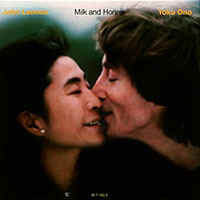 "Milk And Honey" was the planned followup to John Lennon's and Yoko Ono's "Double Fantasy" album and work began on it during those same sessions. Unfortunately, John wasn't around to see it finished, but Yoko released the work in progress on Jan. 19, 1984 (US) and Jan. 23, 1984 (UK). Let go, let go, cut it out!